Coming to Athens for TBEX? You will find a plethora of things to do in the city, so we hope you’ll be adding on several days in order to fully enjoy what the city has to offer. Athens is famous for many things and you will have the opportunity to experience these by signing up for one of the many day tours available. What do you want to experience? Here’s a local’s take on the options available. Do you love food? Athens offers a wide variety of food options, from simple street food to higher-end gastronomy. Join one of the many food tours offered and you will get to visit various specialty food shops, colorful and alluring delicatessens and grocery stores, aromatic bakeries and confectionaries, and the meat, fish, and spice markets. You will get to sample authentic Greek Yogurt, freshly ground coffee, tangerine scented marzipan, olive oil and Greek olives, honey, savory pies, cheeses and charcuteries, mouth-watering sweet and syrupy “loukoumades”, traditional “bougatsa”, and the savoury “pastourma”. All this while learning more about Athens’ history, architecture and culture. Would you rather be indoors? Then join a cooking lesson and enjoy a home-cooked meal in an authentic Greek home, or a multi-course gourmet meal while while viewing a historical exhibition. Wine lovers will find some wondering offerings in the day tours and experiences. According to mythology, Dionysus, the god of wine, spread the art of wine-making to the Greeks. Visit some of the best wineries of Attica and beyond, and enjoy the landscape of our beautiful vineyards. You will get to sample some of the most famous and award-winning Greek wines, accompanied with cheeses and cold cuts, amongst a pristine environment, and you will get to learn about its history and cultivation. Are you into shopping? Athens’ shopping scene is huge! You will be able to enjoy the best that Athens has to offer in terms of handicrafts, clothes, shoes, jewelry, cosmetics, artifacts, souvenirs, wine and more. Each store has a story to tell and you will discover not only wonderful products, but also a lot more about Greek culture. Interested in Greek jewelry and sandal-making? Walk around the city center, from Syntagma to Plaka and beyond, and explore the myriad of artist-owned shops selling and creating all sorts of handmade, unique jewelry and sandals. You will be able to visit the Athens flea market, and discover all sorts of antiques. If you are interested in mainstream shopping, you will have the chance to visit a designer outlet in the outskirts of the city. If this is your first time in Athens, then you surely should not miss some of the classic sights that all visitors should see: the Acropolis, the Acropolis Museum, the National Archaeological Museum, the National Gardens, Zappeion, Hadrian’s Arch and the Olympian Temple of Zeus, the House of the Greek Parliament, Mount Lycabettus, Panathenaic Stadium, the Agora, the Academy, the University and the National Library, the Numismatic Museum, the Museum of the City of Athens and the historic neighborhoods of the Plaka, Monastiraki, Psyrri, Thiseio. 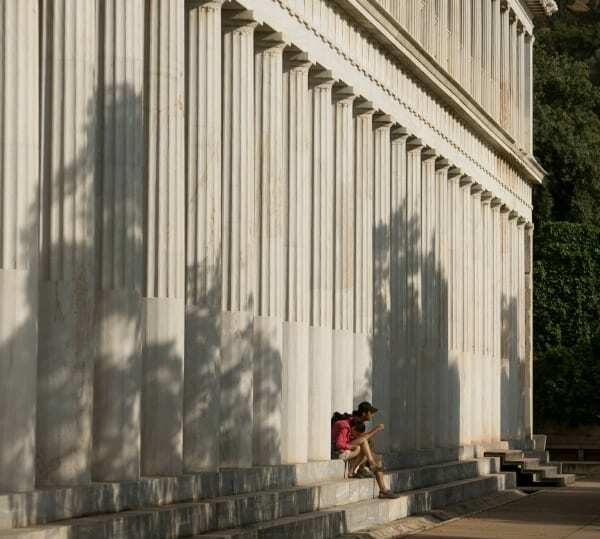 For arts and culture enthusiasts, take some time to walk around the city and discover some of Athens’ most well-known art galleries and artists’ studios. View first hand the work of contemporary artists and explore neighborhoods where artists have converted old industrial buildings into living spaces and workshops. Discover the emerging neighborhood where the new National Museum of Contemporary Art will be housed, the Onassis Cultural Centre and the Stavros Niarchos Cultural Center, which will house the new buildings of the National Library and Opera. Athens is also rich in terms of street art – learn about graffiti in neighborhoods containing artistic, social and political elements. Are you a fan of film, theater, or dance? Then attend one of the special workshops designed especially for TBEX attendees. You can shoot a short film while discovering Athens as a local, and you can become part of a film crew and leave your mark by taking over the camera and with a cinematographer’s guidance you will develop your directive skills! You can also participate in an interactive theatre workshop based on ancient Greek Tragedy, and take part in a mask workshop as well, while getting introduced to Greek history and tradition. Learn about Greek Folk dance and folk culture and expose yourself to dances from a variety of Greek regions, executed in their true style. For nature and sports enthusiasts, Athens has much to offer. You can learn how some of the secrets of golf with experienced coaches and hae a chance to practice basic golfing skills. Experience the beauty of the Athenian Southwest coastline through sea kayaking. If you are into trekking, you be able to visit Mount Parnitha, situated north of Athens. You can visit Lake Vouliagmeni, famous for its therapeutic wonders, or choose the Attica Zoological Park which hosts more than 2000 animals from 350 different species. Lastly, Athens may be chock-full of things to do in the city, but there is plenty to do in its surrounding areas as well. 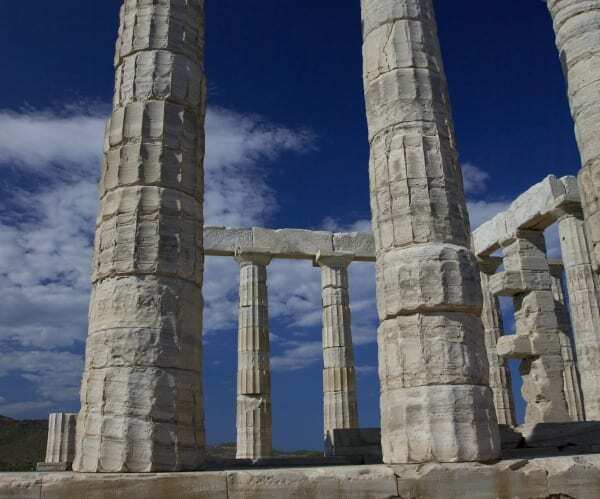 Visit the Temple of Poseidon at Sounio, overlooking the sea. Take a daily excursion to the Oracle of Delphi, and then visit the picturesque mountain village of Arachova. 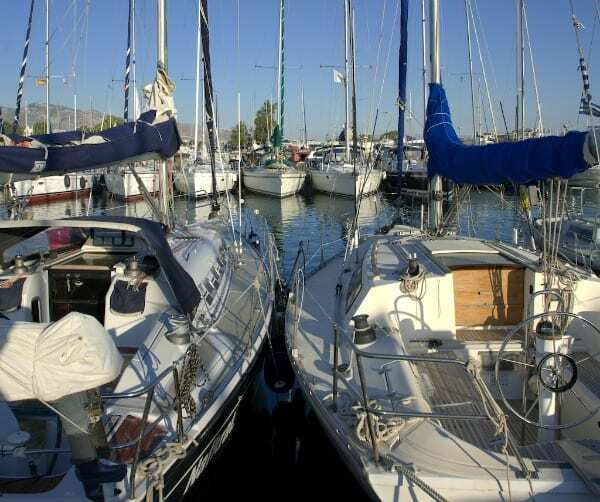 Go to Lake Marathon, and Ancient Corinth and Nemea, or take a cruise to the nearby islands of Aigina, Poros, and Hydra, all containing a rich history. Find more information on the TBEX Athens Day Tours & Experiences here.